As "the" new eleventh grader at Anton High the most elite public school in the country she sticks out like an old VW bus in a parking lot full of shiny BMWs. But being the new kid also brings a certain advantageous anonymity. In Anton High's world of privilege, intelligence, and wealth, Sara can escape her family's tarnished past and become whomever she wants. And what's the harm in telling a few little black lies when it can lead to popularity? That is, until another "it" girl at Anton becomes jealous of Sara's social climbing. With her balance evaporating, one small push could bring Sara crashing down. 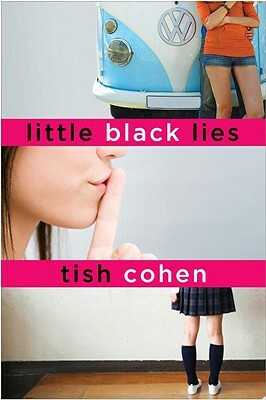 Tish Cohen is the author of several books for adults and young readers. Her adult novel "Town House" was a 2008 finalist for the Commonwealth Writers Prize Best First Book Award (Canada and Caribbean region) and is in development as a feature film. Cohen s middle-grade novels, "The Invisible Rule of the Zoe Lama" and "The One and Only Zoe Lama," were published in Canada and the United States. . She has contributed articles to some of Canada s largest newspapers, including "The Globe and Mail "and "The National Post. "Having grown up in Los Angelesand Orange County in California, and Montreal, Cohen now calls Toronto home. You can visit her online at" "www.tishcohen.com." ""